Traditionally, cell-based vaccine production is performed using stainless steel bioreactors that require extensive cleaning procedures. Because disposable bioreactor systems have no need for cleaning and validation, they can significantly reduce start-up times for good manufacturing practice (GMP) manufacturing of cell-based vaccines (1). Although they are susceptible to a broad range of viruses, Vero cells were recently successfully used for industrial-scale influenza vaccine production (2,3,4). However, these adherent cells can proliferate only when provided with a suitable surface on which to grow. Scale-up of such cells is challenging because of the required detachment and reattachment of cells during passaging. The aim of this study is to present a process for scaling up adherent Vero cells for influenza propagation using single-use WAVE Bioreactor systems. Vero cells were cultivated on Cytodex microcarriers in Cellbag™ bioreactors using WAVE Bioreactor 20/50 (10-L culture) and WAVE Bioreactor 200 (50-L culture) systems. When scaling up to 50 L from a 10-L culture using bead-to-bead transfer, the cells were detached by trypsinization and used to seed new microcarriers of the same concentration in a larger Cellbag bioreactor. The cells were reattached to those new microcarriers, and similar growth rate was observed in the 50-L culture as in the 10-L cultures (Figure 1). At both cultivation volumes, Vero cells attached to the microcarriers (Figure 2) and started to grow without a lag phase. 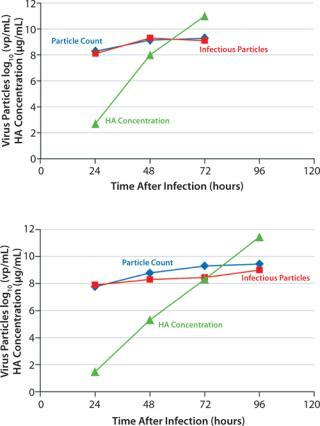 Figure 3 shows a comparison between virus growth in a 10-L and a 50-L culture. Both cultures were infected at similar cell concentrations of approximately 2 × 106 cells/mL. The amount of infectious virus particles (VPs) as well as the total VP amount increased with cultivation time. The majority of VPs were formed during the first two days after infection. The hemagglutinin (HA) concentration increased continuously throughout the infection phase and peaked at the time of harvest. At harvest, the infectious virus concentration in both cultures was 109 TCID50 units/mL. The total amount of VPs showed good correlation with the TCID50 measurements. The HA concentration at harvest was about 12 g/mL at both cultivation volumes. This case study shows a robust and reproducible scale-up procedure in which an infectious virus concentration of 109 TCID50 units/mL was achieved. The described process is a fast and convenient alternative to more traditional influenza vaccine production methods. A more detailed description of this influenza virus production process is given in application note 29-0435-48 AA (5). Christian Kaisermayer is a senior scientist, Ann-Christin Magnusson is a senior research engineer, and Johanna Tschöp is a research engineer at GE Healthcare Bio-Sciences AB, Björkgatan 30, 751 84 Uppsala, Sweden. GE and GE monogram are trademarks of General Electric Company. AxiChrom, Cellbag, Cytodex, ReadyToProcess, and WAVE Bioreactor are trademarks of GE Healthcare companies. ©2013 General Electric Company – All rights reserved. First published June 2013. 1.) GE Healthcare 28-9863-33, and AA Edition. 2010. Faster Scale-Up of a Two-Step MAb Process with AxiChrom™ Columns and ReadyToProcess Solutions. Upstream and Downstream 3:14-16. 2.) Liu, CC. 2007. High Immunogenic Enterovirus 71 Strain and Its Production Using Serum-Free Microcarrier Vero Cell Culture. Vaccine 25:19-24. 3.) Rourou, S. 2007. A Microcarrier Cell Culture Process for Propagating Rabies Virus in Vero Cells Grown in a Stirred Bioreactor Under Fully Animal Component Free Conditions. Vaccine 25:3879-3889. 4.) Kistner, O. 2007. Cell Culture (Vero) Derived Whole Virus (H5N1) Vaccine Based on Wild-Type Virus Strain Induces Cross-Protective Immune Responses. Vaccine 25:6028-6036. 5.) Application Note 29-0435-48, and AA Edition. 2013.Scale-Up of Adherent Vero Cells Grown on Cytodex Microcarriers Using ReadyToProcess™ Equipment, GE Healthcare, Uppsala.